Hampton and Morgan State have already punched their spots into the MEAC semifinals. NORFOLK, VA — The team that was predicted to win the MEAC’s regular season title and the team that actually did both advanced on Wednesday night. Hampton and Morgan State punched their tickets to the MEAC semifinals on Friday night in nailbiters against FAMU and Bethune-Cookman, respectively. Thursday’s North Carolina Central-Savannah State quarterfinal winner will take on Morgan State while the North Carolina A&T-Norfolk State winner gets a matchup against no. 1 Hampton. Hampton, playing in its final MEAC Tournament, received its trophy for its share of the MEAC regular season title before the game and looked like a championship team early. HIU took a 34-16 late in the first half and went into halftime up 36-27. 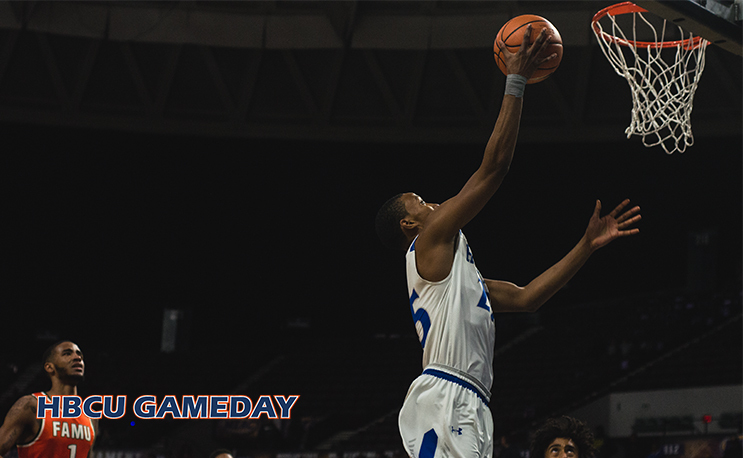 The Pirates led by as many as 15 points in the second half, but Desmond Williams got hot, scoring 24 of his 27 points in the second half as the Rattlers got as close as 72-71 but was unable to finish the job and Hampton escaped with a 75-71 win. Malique Trent-Scott carried the scoring load for Howard, putting up 22 points, and Jermaine Marrow came up with 15 points, 10 rebounds and nine assists. Hampton will play the Norfolk State/North Carolina A&T winner on Friday night. It lost its only matchup with A&T and swept rival NSU. Morgan State’s 78-77 win over Bethune-Cookman was technically an upset, but only if you take conference seedings as the end-all, be-all. MSU was picked to win the conference at the beginning of the year and it showed why on Wednesday night. It erased a 13-point deficit thanks largely to big performance from Tiwain Kendley who scored 31 points. Morgan State will play the winner of Savannah State-North Carolina Central on Friday for a spot in the MEAC title game. North Carolina Central-Savannah State 6 P.M.
North Carolina A&T-Norfolk State 8 P.M.